Saturday – March 28th, 2015. 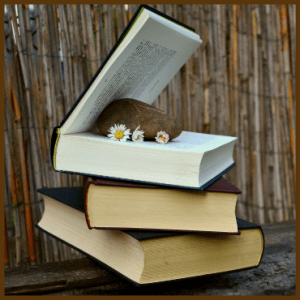 Memoirs, Spiritual Books, Health Books, Children’s Books – a writer’s workshop with Dr. Zeal Okogeri. Do you have a book inside you, just waiting to be written and published? Do you have a message to get out to the Spiritual community? Join award-winning speaker and writer Dr. Zeal Okogeri for a 2-hour writer’s workshop. Accept this invitation to discover your own unique and powerful story, and the profound transformation that occurs when speaking it out loud. In this class, you will be taken through the entire process of writing and publishing for the personal growth market. • How to craft your thoughts into an engaging, inspiring, and publishable manuscript. • How to find your authentic voice and engage readers. • How to come up with the right title and subtitle for your book. • How to identify your target audience. • How to obtain ISBN, library of congress number, bar code, etc. • How to distribute your book online via Kindle, CreateSpace, etc. • How to find the right editor, cover designers, interior designers, and other talents. • How to publish an e-book. • How to find the right print-on-demand printer/publisher. • Step-by-step guidance on how to promote your book. • How to complete your book within 90 days! This workshop is perfect for healers, teachers, aspiring authors, seminar leaders, consultants, and anyone who has been procrastinating about getting their message out. Dr. Zeal Okogeri is an author, publisher, and meditation teacher. He’s a former lecturer at the University of Hawaii. For more than 8 years, he has helped many writers attain their goal of being published.